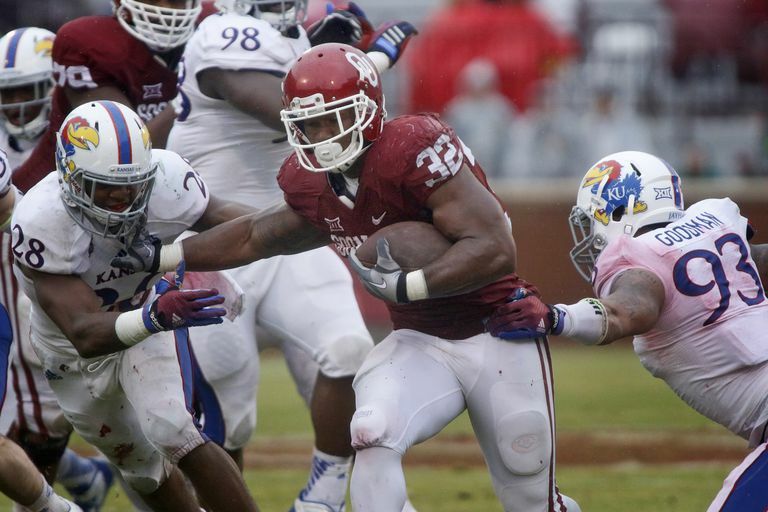 Running back Samaje Perine #32 of the Oklahoma Sooners breaks through the Kansas Jayhawks front line November 22, 2014. At 5 feet, 10 inches tall, Samaje Perine, a running back for Oklahoma, turned heads by breaking an NCAA football record in 2014 for most rushing yards in a game. He was drafted by the Washington Redskins in April 2017. Perine rushed for 427 yards on 34 rushes along with six touchdowns in a victory over Kansas, breaking the NCAA Football Subdivision single-game rushing record set just a week earlier by Melvin Gordon, running back from Wisconsin. Before Gordon, the previous mark of 406 yards was set by TCU running back LaDainian Tomlinson and had stood as a record since 1999. Perine finished his career as the Oklahoma Sooners all-time leading rusher, with 4,122 yards, despite moving on to professional football after just three seasons. Perine was born in Jackson, Ala. He graduated from Henrickson High School in Pflugerville, Texas, where he was a three-year starting running back and competed in track and field events. In 2013, he accepted an offer to the University of Oklahoma, turning down offers from Alabama, Nebraska, TCU, and Tennessee. Who Is the College QB With the Highest Career Rushing Yards? 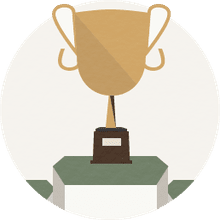 Has Your Favorite College Team Ever Won the NCAA Championship?